A girl from small town who has always been an underdog throughout her life, I have come a long way. Although, I traveled to different parts of country for getting meaningful education and a fulfilling job, but my ultimate dream was still to settle with the right guy. I did find the right guy, and married him too. When we were blessed with our daughter, and I started living the dream life of a homemaker while raising my little girl, I realized that I actually liked to work. Staying full-time at home was not my cup of tea. For an introvert and silent person like me, going to office was a necessity to remain socially active. It kept me efficient and helped me to keep myself updated. But my biggest concern was my daughter. I didn't want to compromise on her upbringing and didn't want to do injustice to my professional assignment either. It was a dilemma for me. Should I work or shouldn't? My biggest support, my husband understood my confusion and decided that for me it was #TimeToTransform! He convinced me to get a smart phone. Until now I was having a very basic model mobile phone as I hated having other advanced features. Being old-fashioned, I believed a phone should strictly be limited to its original function i.e. to make and receive calls. My husband cleared my unfounded doubts and gave me a windows phone. Boy, it was my first expensive gadget! I had never spent so much money on technology. For a simple girl like me it was just a materialistic thirst which never gets quenched. You get one and then after few days it becomes obsolete and then you want the newer version. But now since I had it, I started using it. I hesitantly configured my mail, social site ids, whatsapp and other apps. Soon, the world was on my fingertips. I was constantly in touch of everything and everyone. Somehow, I started liking the dynamic tiles. I kept all important stuff like important numbers, mail, chats on the home screen. Within days, I became lively and aware of happenings in the world. I obtained a nice job and being connected all the time helped me to manage work-life balance. 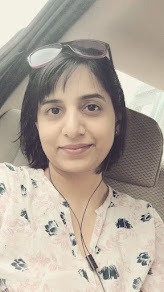 All these changes made me to appreciate technology and I rekindled my blog too which was lifeless for a long time. I now realize that my thoughts are more streamlined than before and this gives me inner peace. Having an active life made me a confident woman, mother and person. I hope to be as vigorous as present throughout my lifetime so that I can be a role model to my daughter. I still hold on to my values but technology has taught me not to be rigid and prejudiced towards anything.